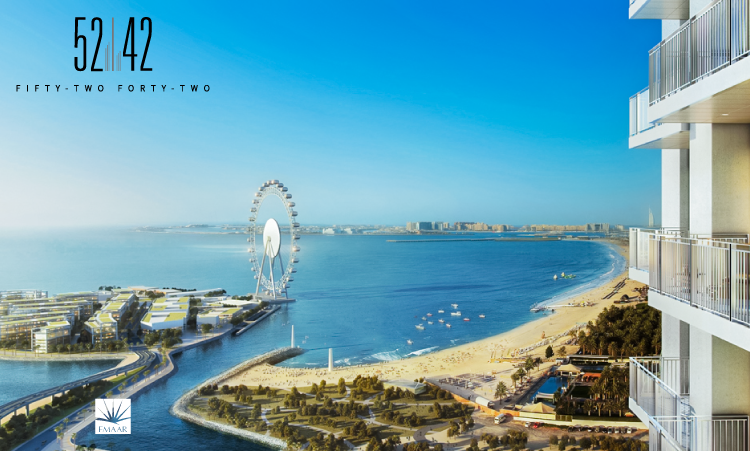 A prime waterfront residential development offering spectacular views over Dubai Marina and the Arabian Gulf. 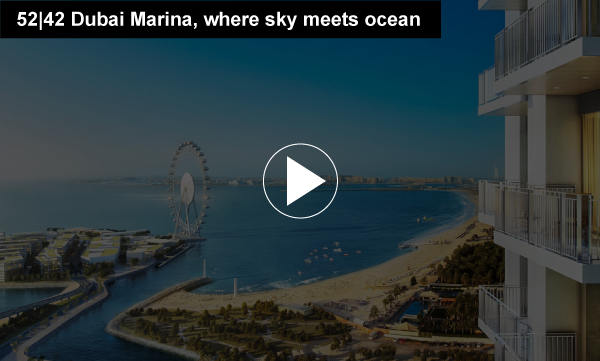 Dubai Marina by Emaar offers Riviera-style living in a modern aesthetic setting and is one of the first of its kind in the region. 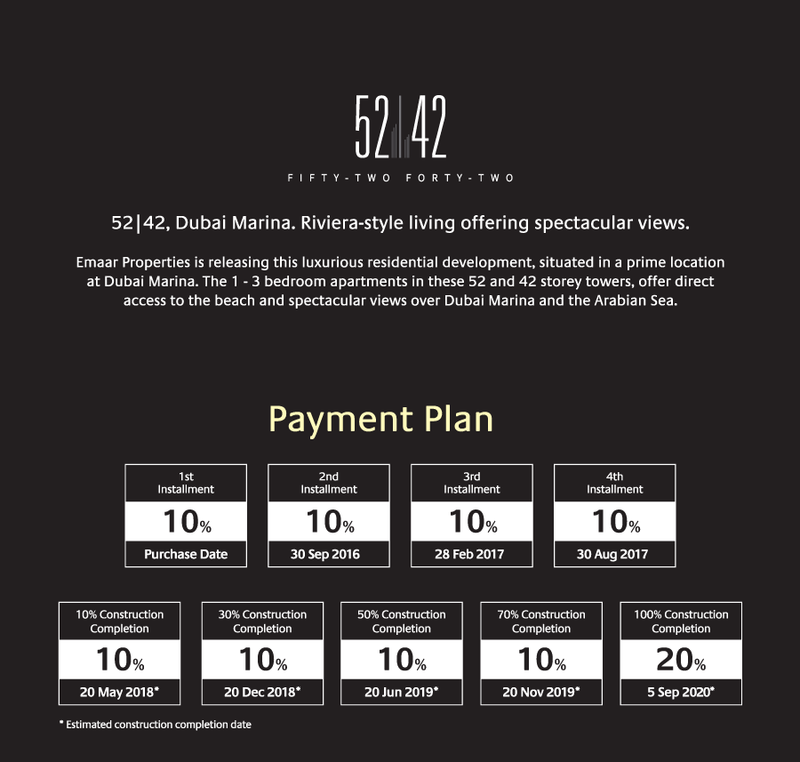 It comprises ten districts with amenities that cater to all lifestyles, among which are the Dubai Marina Mall, a shopping and entertainment destination; The Address Dubai Marina, a 5-star premium hotel with serviced residences; and Marina Plaza, an exclusive commercial tower. 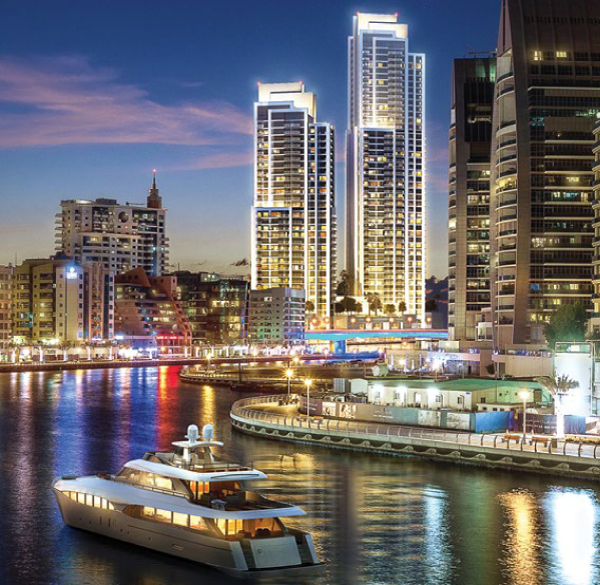 Dubai Marina is an elegant waterfront community that is the first choice for the stylish and sophisticated. From the moment you step into your apartment in 52|42, you’ll feel right at home. Settle down in a home that has been planned to the very last detail with sleek designs and contemporary touches, modern kitchen fittings and stunning bathroom fixtures. 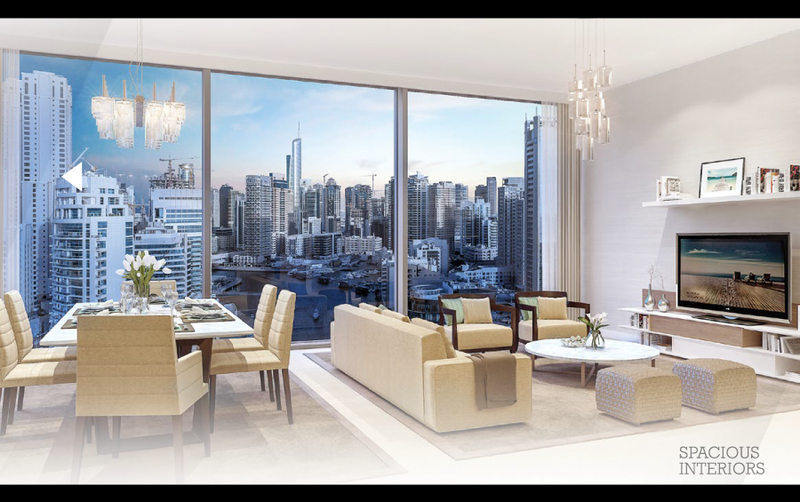 The floor to ceiling windows allow ample sunlight to stream in and provide you with unobstructed views to wake up to. 52|42, where convenience meets luxury and style meets comfort.